Star Micronics provide a set of very reliable receipt printers and can be purchased in either black or white. The units comes in either ethernet, bluetooth, wifi, or usb. This can be chosen as part of the Shopwave Business in a Box package. A fast 300mm/second thermal POS receipt printer, the TSP650II offers versatility at all levels with a range of connection options for traditional EPOS as well as newer mPOS and web based systems. Retailers can choose to stick to a traditional PC-based system and then to switch to web or tablet solutions as they wish or to run both systems concurrently. The TSP650II combines high print quality and simple set up with Star’s renowned reliability – all at great value. Read more. For more setup instructions, look at the printer manual. The TSP143IIIU is a game changing USB POS printer, the first of its kind to be able to connect directly to an iPad or iPhone using the Apple Lightning cable for reliable USB communication and simultaneous charging. Read more. 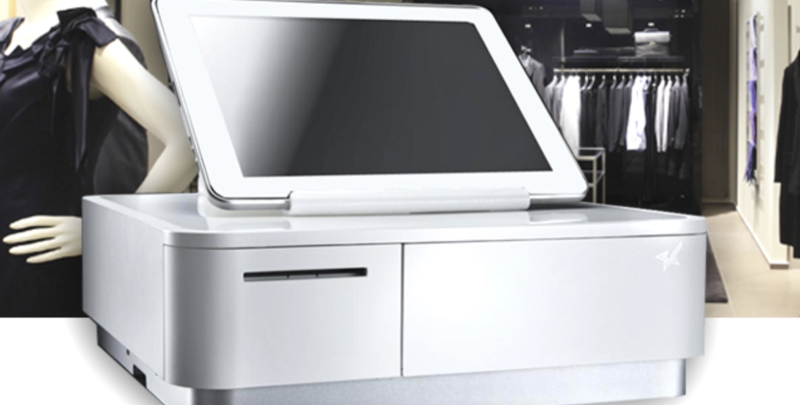 The Star mPOP™ is a unique combined receipt printer and cash drawer, simple and elegant, yet loaded with intuitive design features. At just 10cm high and 30cm wide, the mPOP™ is easily transportable and offers a contemporary alternative to a traditional cash register or EPOS system. The mPOP can be easily secured on any counter top or or can be fixed under the counter. Read more.